I’m a massive fan of home made beef burgers because they’re so easy to make and you know exactly what you’re getting. 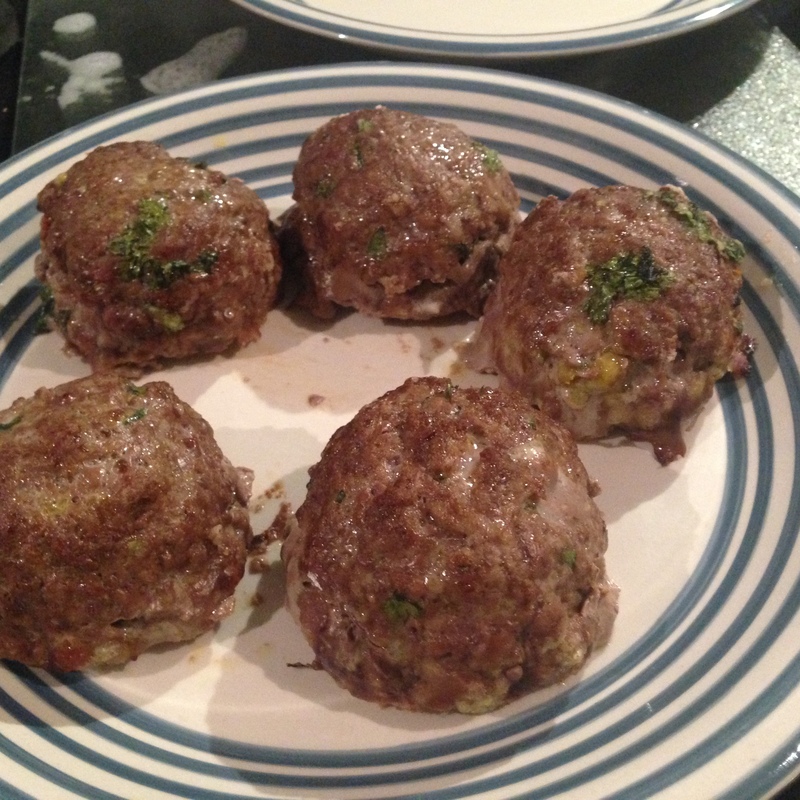 If you use lean minced beef it cuts down on that fatty content as well which is always good. 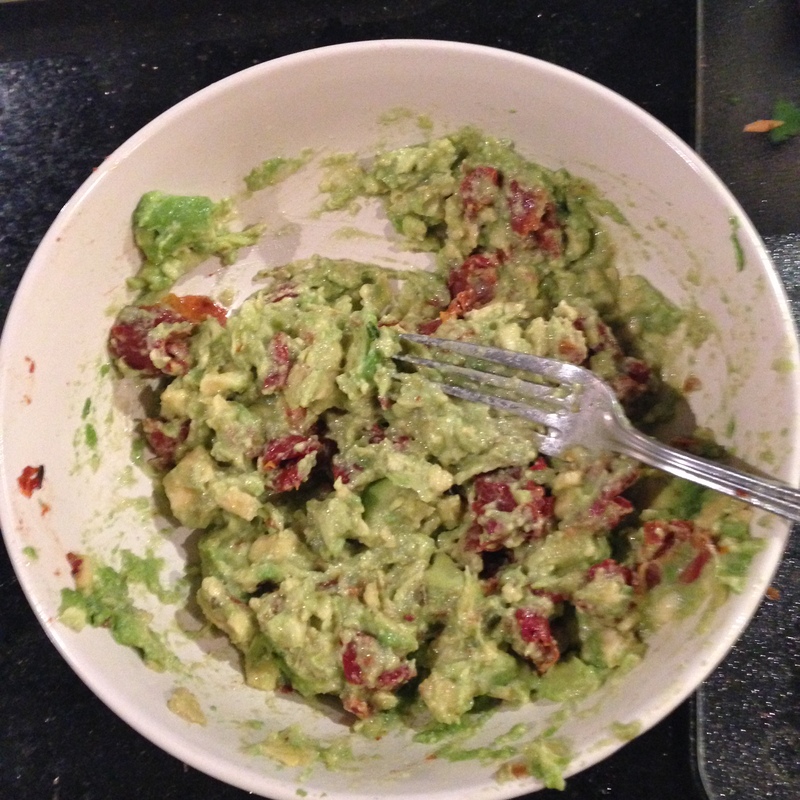 Now on to the best bit, sundried tomato and avocado! Who wouldn’t want that stuffed in a burger!? It’s a match made in heaven in my opinion and the result was a taste sensation. If you make a big batch of these you can keep them in the fridge and take some for lunch the next day as well. 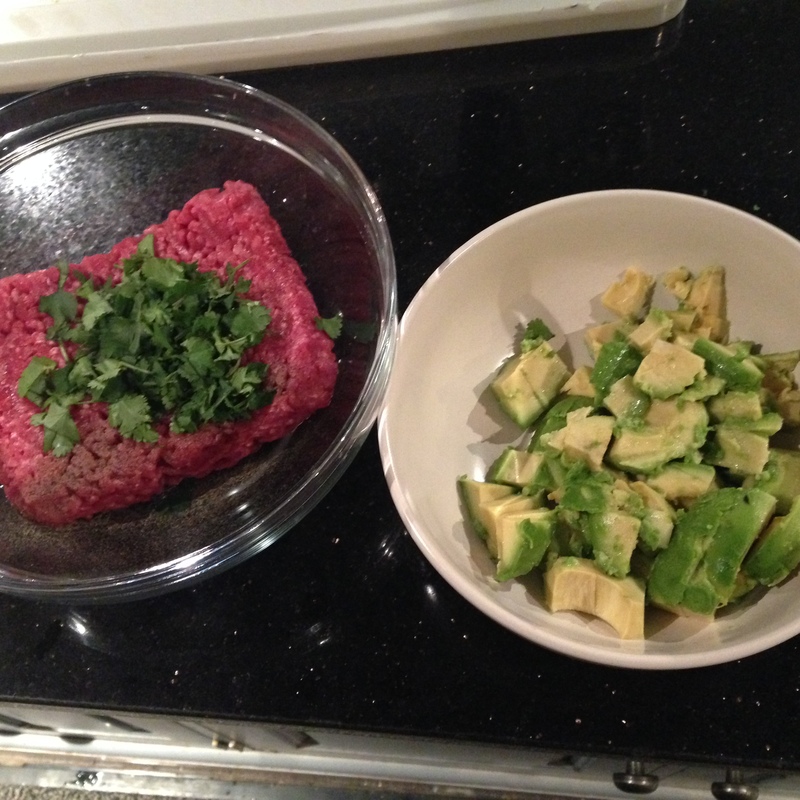 – In a large mixing bowl add the beef, egg, chopped garlic, coriander and salt and pepper and combine well. – In a separate bowl mash the avocado, chopped sundried tomatoes and lemon juice. 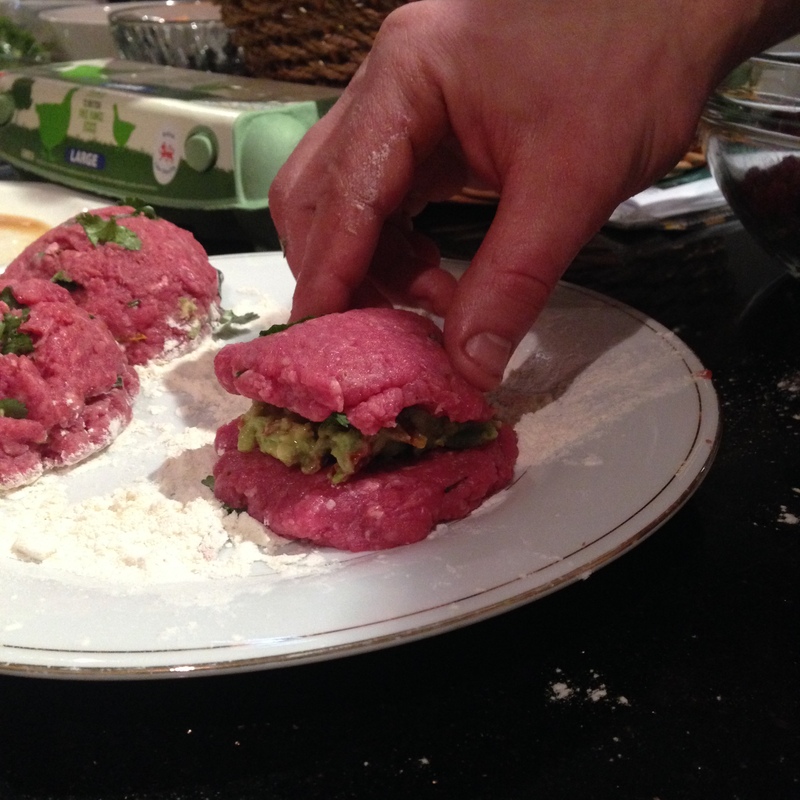 – Using your hands, make two thin-ish burger halves (these are going to make one burger). It is easier to shape them on a surface lightly dusted with flour to stop them from sticking. 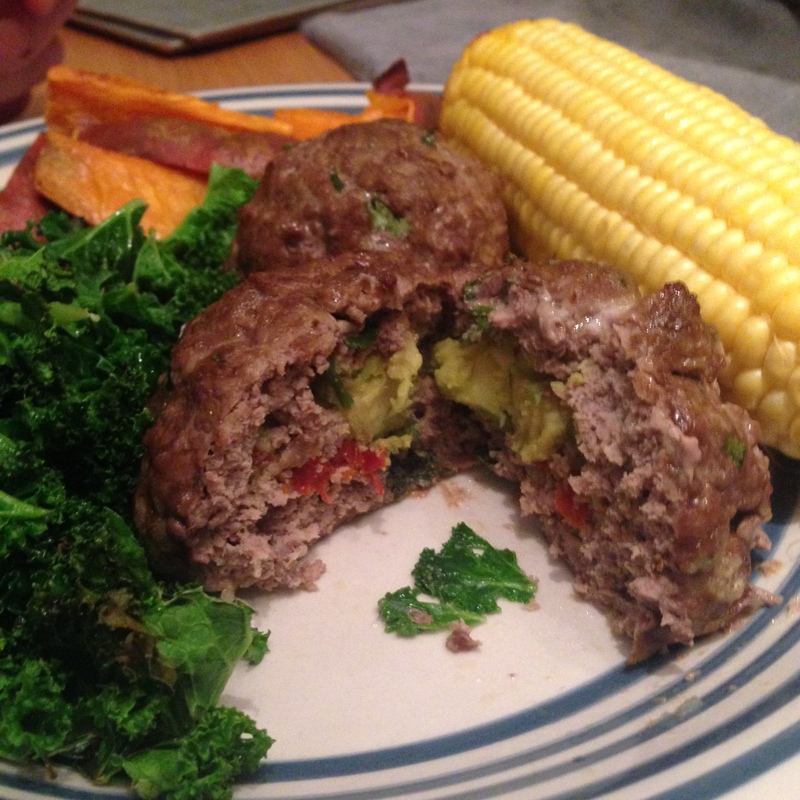 – Put one heaped tsp of avocado mixture in to the middle of one burger half and then add the other burger half on top, pinching the sides to form the burger and to keep the avocado in. Repeat until all of the mixture has been used. – Add a tsp of coconut oil to a frying pan and fry the burgers on each side for about 10 minutes/until thoroughly cooked. Alternatively you can grill the burgers. I wouldn’t advise cooking them in the oven though as that will dry them out. 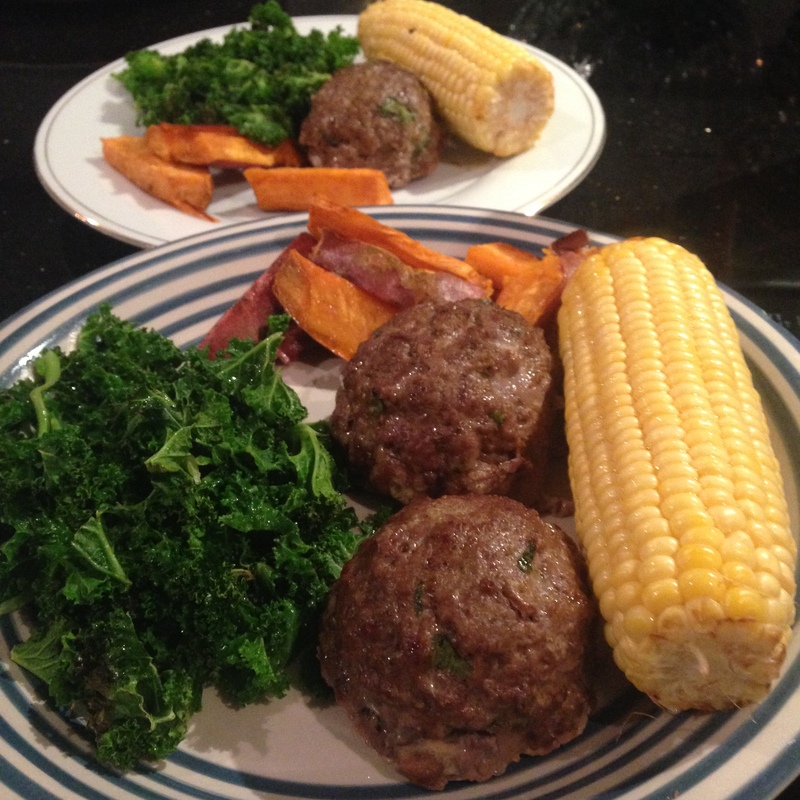 – Serve with sweet potato wedges, crispy kale and corn on the cob.